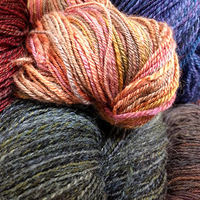 Enjoy three days of weaving, spinning, dyeing — and fun! 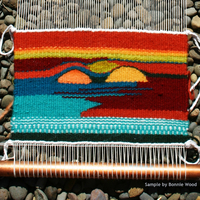 Three-day workshops are taught by enthusiastic fiber teachers—with plenty of free time for hiking, talking, and enjoying the spring! 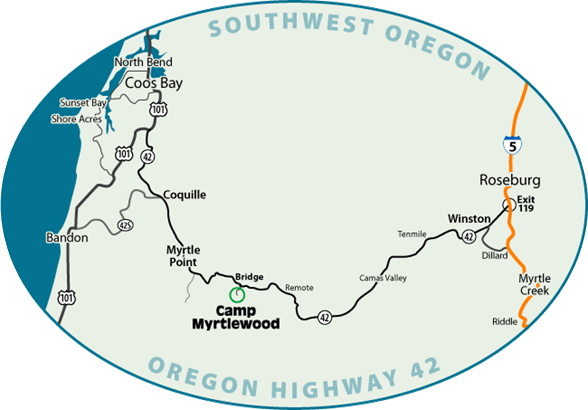 Fiber in the Forest is held at Camp Myrtlewood, a scenic rustic retreat located in the Coast Range off Highway 42, 40 miles west of I-5. $425 price includes participation in one workshop, and room and board. Materials fee is paid directly to the instructor at the time of the workshop. Classes start on Friday morning (9am) and continue through Sunday afternoon. Dormitory lodging with bunk beds is available Thursday - Saturday nights. Bring your own bedding and towels for hot showers. There are 12 RV Spaces with electric and water hook-ups, as well as plenty of tent space. We regret that pets are not permitted. Meals are especially delicious and include vegetarian options. Meals are served from Thursday dinner to Sunday lunch. (8 am for breakfast, noon for lunch, 5:30 pm for dinner). Every year we enjoy the Open Air Gallery. 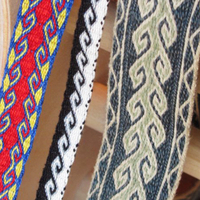 Bring your homespun, handwoven, knitted, felted, or otherwise handcrafted creations for all to admire. Each item should be labeled with the artist's name and a description of the techniques and fibers used. 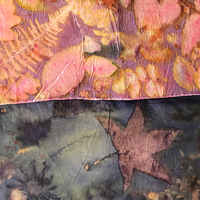 This year's workshops will include Tapestry, Card Weaving, Spinning, and Natural Dyes!